What else can we say than to congratulate Kwame A Plus and his sweet wife, Akosua Vee for crossing the first hurdle of their marriage? A big congratulations from Desiderata Entertainment to Mr and Mrs Asare Obeng aka ‘The A Plus Family’. Born Kwame Asare Obeng married his longtime girlfriend Akosua Vee in a glamorous white wedding which was graced by business tycoons, political bigwigs, celebrities, the famous and influential men and women. The grand wedding was held at His Majesty’s Court hotel in Accra on September 23, 2017, seven months after their traditional wedding. 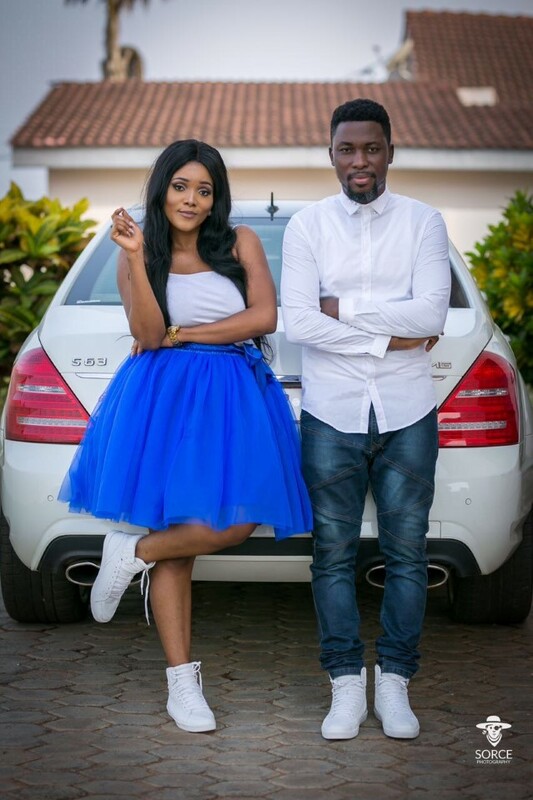 Kwame A Plus and Akosua celebrating their one year anniversary took to their social media pages and shared their joy of being together. 25th February 2017 was exactly a year ago my God-given partner put the first bling on the finger”. A Plus also wrote, “Last year by this time….. they’ve been waiting for the news saaaaa”. Kwame A Plus and Akosua Vee, congratulations once again!